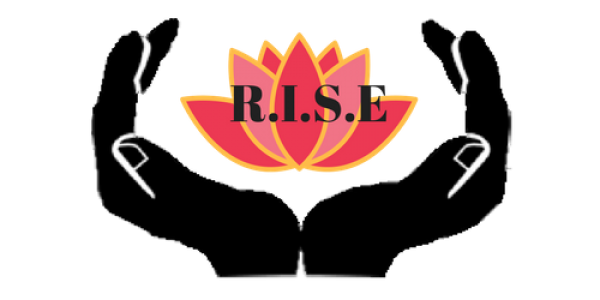 Health + Wellness Tips – R.I.S.E. Hello ladies and welcome! As many of you may already know, I have undergone a physical, mental and emotional transformation over the last four years. This has included losing 75 pounds! Overhauling and changing my diet was a substantial part of this however, there were other important factors that had equal if not more powerful impacts on my overall journey. If you are interested in hearing more about this full journey, please see the health section in my blog which will further explore what I learned throughout my transformation in the upcoming weeks. Today, lets focus on the ketogenic diet which I began in January 2018 and has aided me in loosing an additional 30 pounds. I chose to try the ketogenic diet after loosing 45 pounds and finding myself at a plateau for almost a year! I did some in-depth research (typical of me hehe) and found that there were several benefits outside of weight loss which intrigued me, because let’s be honest, who wouldn’t also love to have clearer skin and more energy! On the left, I was thirty pounds heavier. The photo on the right is six months post keto! The ketogenic diet is a low carb, moderate protein, and high fat diet in which the body enters a metabolic state known as ketosis. When your body is in a state of ketosis, the liver produces ketones which become the main energy source for the body. Alternatively, when you eat something that is high in carbs your body will produce glucose and insulin. Since glucose is the easiest molecule for your body to convert and use as energy, it’s the preferred energy source for your body. Once glucose is broken down, insulin is produced to process the glucose in your bloodstream. This is how carbohydrates give your body energy. When you lower your carbohydrate intake, your glucose and blood sugar levels will drop which in turn will lower your insulin levels. Once you have depleted your body of the glucose to break down, it will then turn to ketones for fuel. Ketones are produced when the body begins to break down its own fat reserves. This occurs from the breakdown of fat in the liver. The fat cells release the water they are storing and then the fat cells are able to enter the bloodstream and head to the liver. There are several health benefits outside of weight loss which include increased ability to control blood sugar, improve triglyceride and cholesterol levels, increased energy, mental focus and clarity and clearer skin. One important concept to understand while engaging in this diet is the term “Macros”. Macronutrients (commonly referred to as Macros) are the main components that fuel your body and include your fat, protein and carbohydrate intake. In a ketogenic diet, the general ratio of macros to follow is 70% fats, 25% protein, and 5% carbohydrates. You can keep track of your daily macros on a number of apps such as MyFitness Pal, SparkPeople, Crono Meter and FatSecret. When initially beginning the keto diet, I would recommend keeping your daily carb intake below 25g/day. Your daily macronutrient percentage is based on a number of factors and the easiest way to calculate this is with using an online calculator such as the ketodietapp. Once you are aware of the macronutrients percentages necessary for you to start, you can add these to your app. Please feel free to contact me in our “Contact Me” section if you are having difficulty with this step and I will happily help! Since we have gone over the basics of keto, lets talk about getting started! Some basic guidelines I can offer when choosing what foods to eat are cheese,fish, eggs, meat, leafy greens and healthy fats such as olive oil, avocados and mayonnaise. Feel free to use herbs to add flavor to your dishes! Keep an eye on the spices you chose to use and pay special attention to condiments such as ketchup and barbecue sauce which are loaded with carbs. Also, be aware of your liquid intake as there are carbs in many of your favorite ones! Look at coffee creamer, juices and sodas. A great alternative to coffee creamer is heavy cream and stevia sugar. You don’t have to give up your favorites either as places like Starbucks have alternative such as the skinny mocha syrup! The keto diet also requires that you are mindful of your vegetables. Avoid root vegetables such as potatos and carrots. An excellent source for getting started is ketodash.com. They have tons of guidance on what you can and cannot eat along with detailed information on keto! I found it was easier for me to keep it simple at first. There are plenty of recipes out there but I always caution about becoming hyperfocused on diets. During the first month, just focus on simple meals and getting accustomed to the diet. One thing I will caution everyone about is the ‘keto flu’. This can occur with those that have had a carb heavy diet and abruptly reduce their intake. It happens due to our bodies withdrawing from sugar and carbs along with the diuretic effect when you lose the initial water weight. The body’s electrolytes may become unbalanced during this rapid water loss and you may find that you are low in sodium and magnesium. Some common side effects of the keto flu are cramps, constipation, heart palpitations, feeling jittery and fatigue. This typically occurs during the first two weeks. I experienced the keto flu and found it helpful to drink some chicken broth or add a chicken bullion to water and sip on this throughout the day. Another option to avoid the keto flu is to slowly decrease your carb intake over a few weeks so the body will not experience withdrawal. Once you make it through the first two to three weeks you will start to feel incredible! I promise! My energy was through the roof, my mind was clear and my appetite decreased significantly. I found myself no longer craving sugar or carbs. My nails also started growing super long and my waist size started getting smaller very quickly. I will be here to support you all throughout the journey and I do not want any of you to hesitate to contact me for support or questions on my “Contact Me” section. I also want to encourage discussions at the bottom of the blog in order to foster a supportive community. I will continue posting additional information about keto as the weeks progress and be sure to check out our other sections on the website! Previous Post Calling All Businesses!